Since its release last year, AMD’s Ryzen™ platform reinvigorated the desktop with multithreaded horsepower plus accessible overclocking and gaming prowess. That first wave was a market revelation that touched everything from value-packed PCs to high-end gaming and content creation rigs. And now ASUS is ready for the second wave with a fresh family of motherboards based on the new AMD X470 chipset. The X470 chipset is designed to enhance the performance of the next generation AMD Ryzen 2000 series of processors code named Pinnacle Ridge and yet retains backward compatibility with current Ryzen processors. Our X470 series spans six boards, each with a unique spirit. 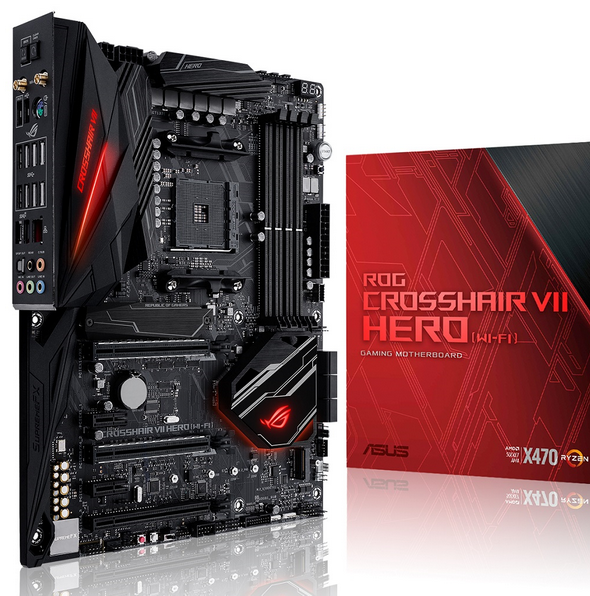 The ROG Crosshair VII Hero and its WiFi twin lead the lineup with a stealthy design for serious overclockers, savvy enthusiasts and gamers. Its Strix X470-F Gaming sibling makes ROG enhancements like easy tuning and next-level customization more affordable, while the Strix X470-I Gaming shrinks everything down to mini-ITX proportions for powerhouse small-form-factor systems.